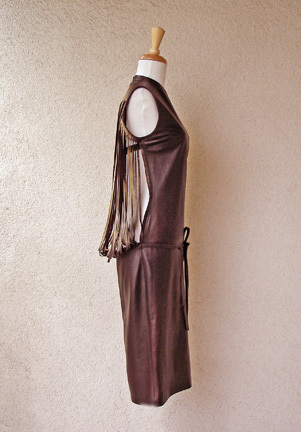 A highly unusual, highly exotic wearable art lambskin leather dress from Alexander McQueen's 2000 Victorian Collection and as seen on the fashion runway. 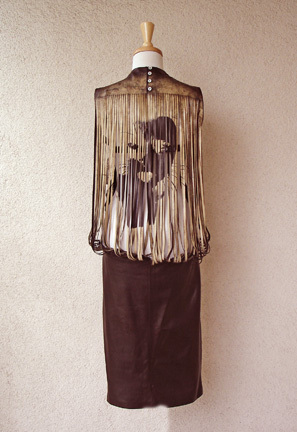 Fashioned of buttery soft chocolate brown lambskin leather (Made in Italy) and styled with all the "art" happening on the back of the dress! 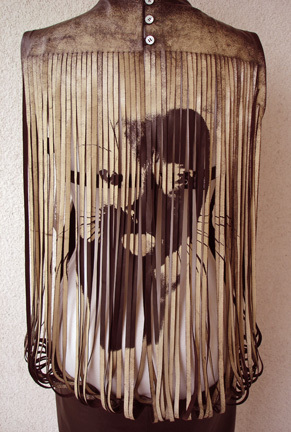 Narrow laser cut leather strips form the graphic image of a woman's face morphed into a cat. According to Alexander McQueen's representative, who I spoke with, the inspiration for this dress came from a real photograph which he took from an actual Victorian book and graphically transposed the image onto the dress. 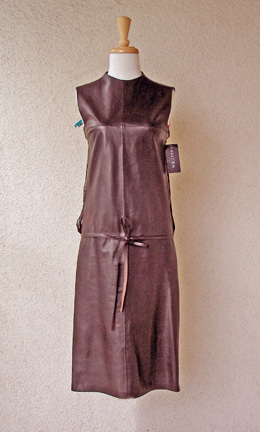 The dress stays secure on the body via a narrow leather strap which discreetly buckles at upper back; 4 button back neckline closures. Bare sides. 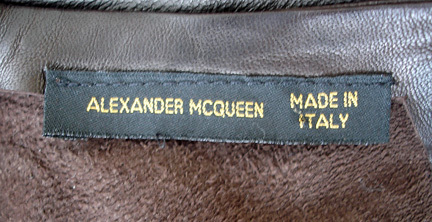 Leather front tie belt. Condition: excellent; brand new; unworn.